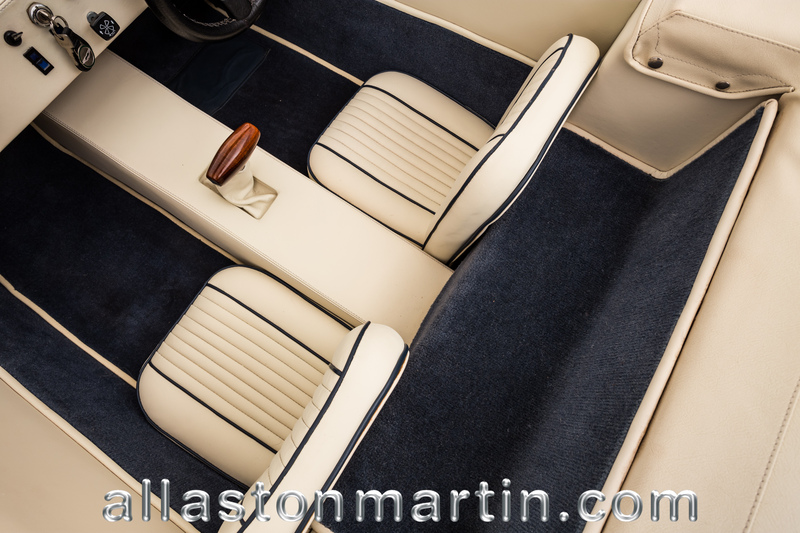 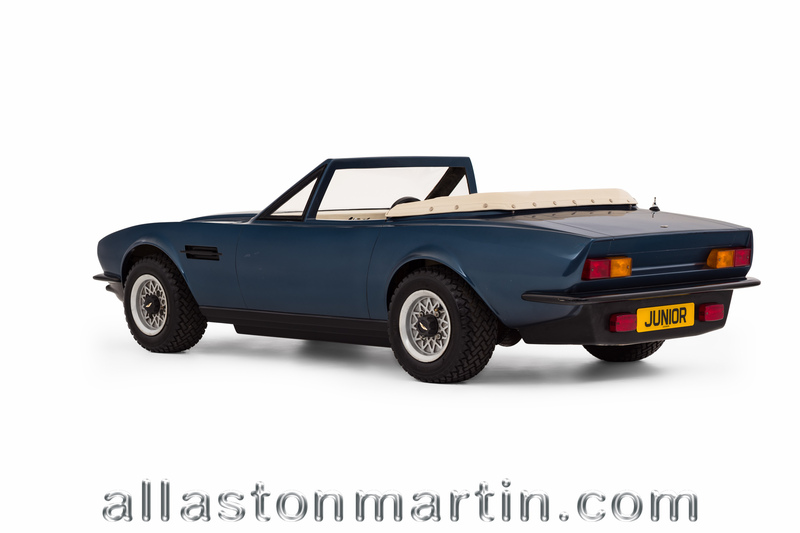 You have heard references to models or toys – put them all to one side, this is a true Aston Martin. 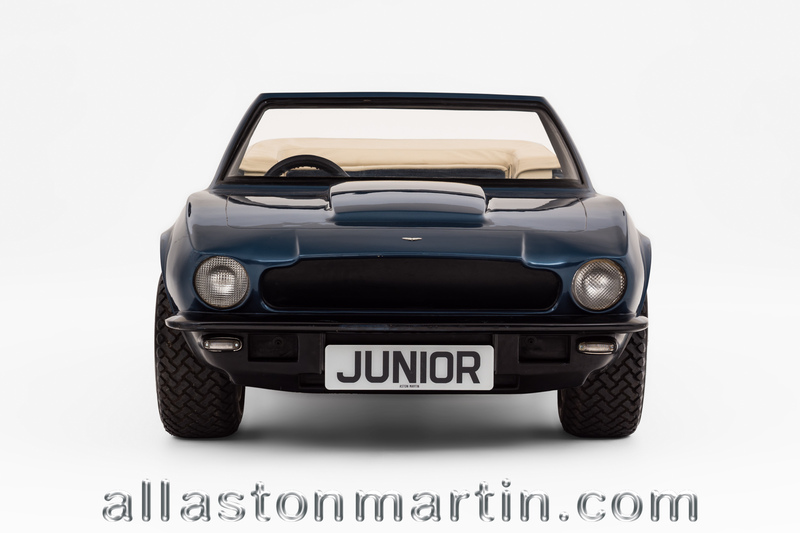 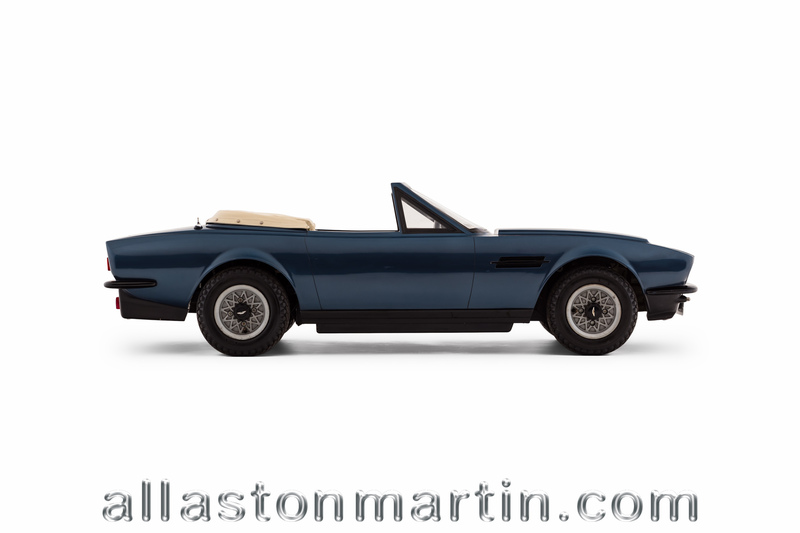 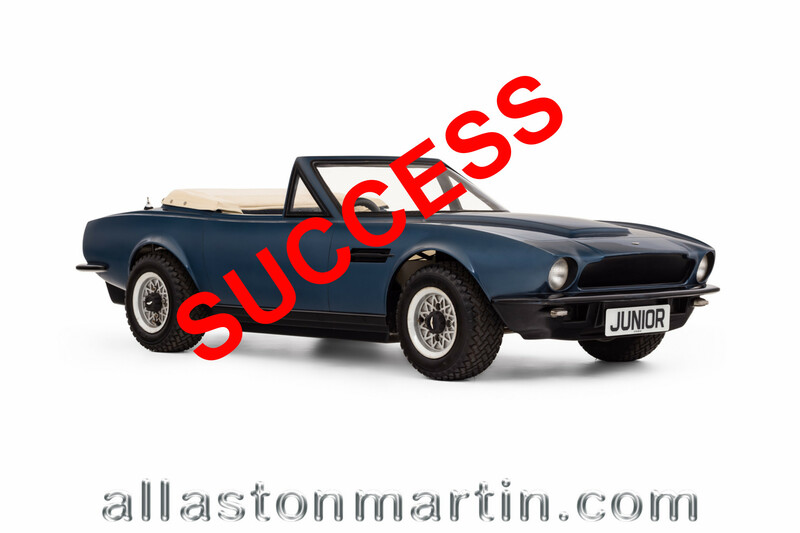 And so a 4:7 scale Aston Martin V8 Volante joined the model line-up. 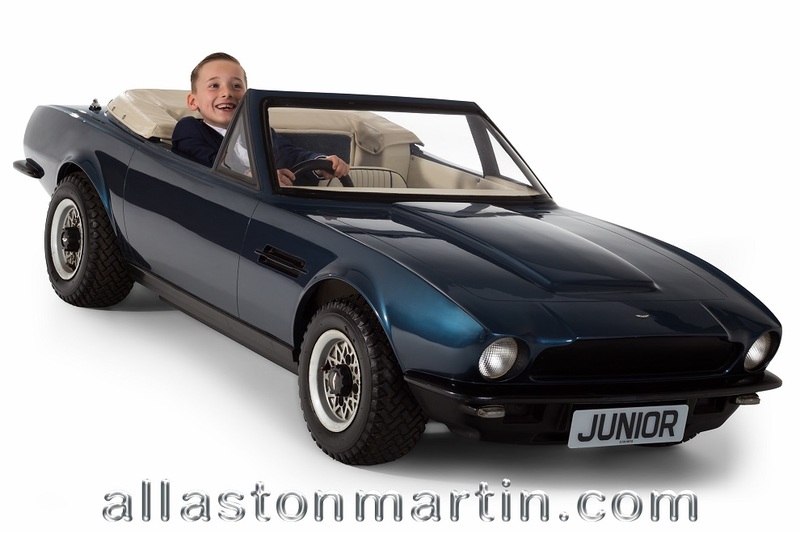 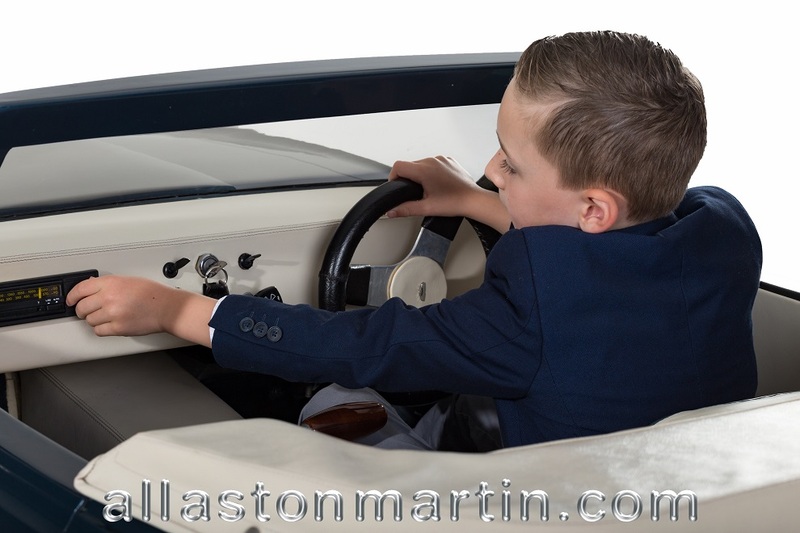 A hand crafted replica of Aston Martin’s flagship V8 Volante – just on a different scale. 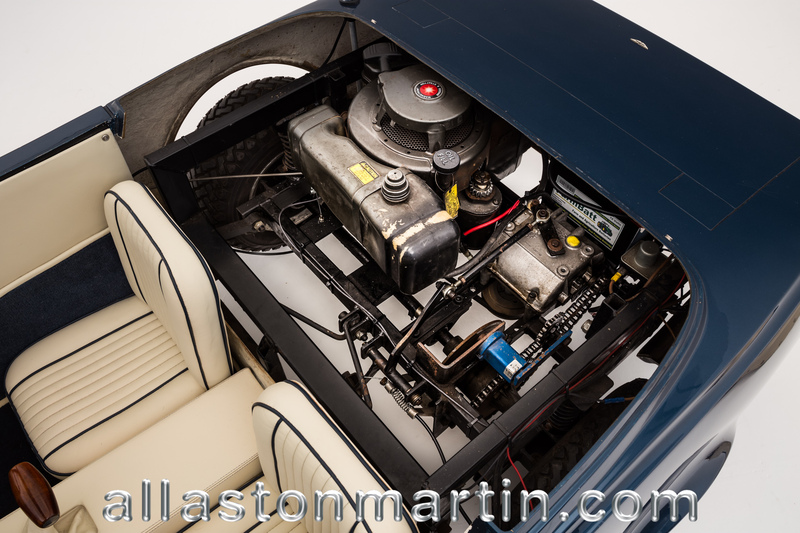 At 8 feet 6 inches long (2.5098 metres) and 3 feet six inches wide (1.0688 metres), this two-seater sportscar was driven through five forward and one reverse gear via an automatic clutch. 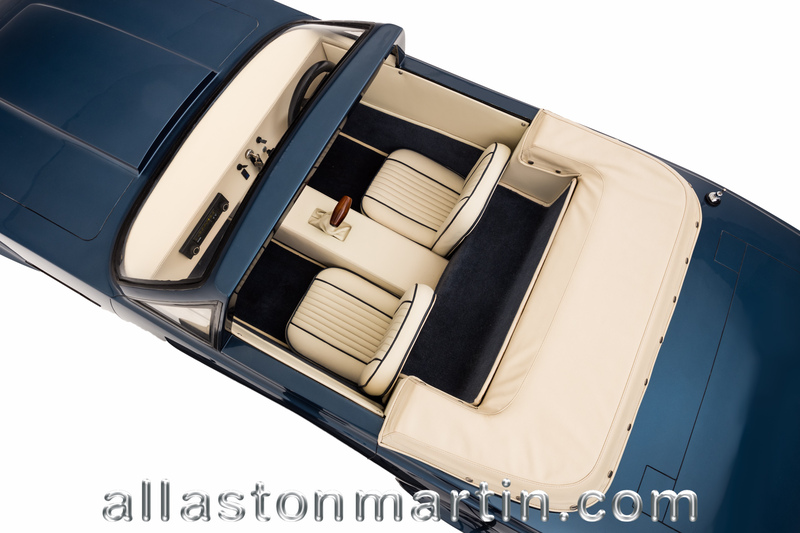 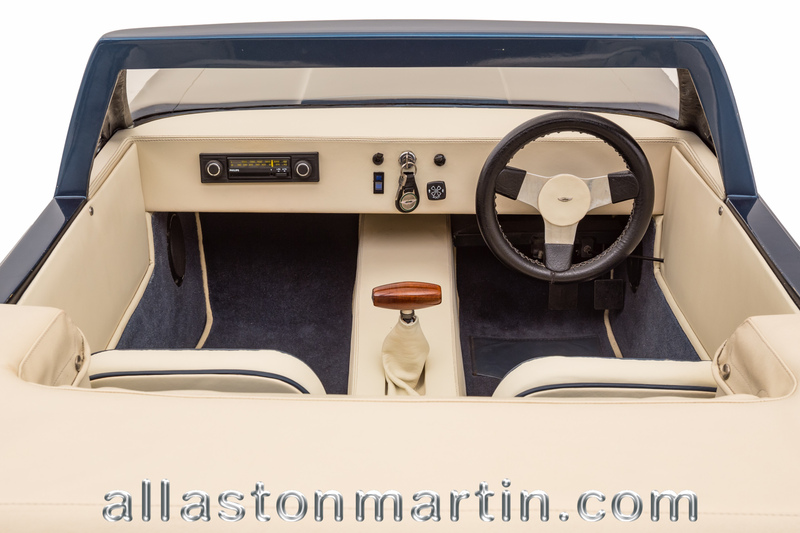 The production values included a body of hand laid glass reinforced plastic, strengthened windscreen pillars and a header rail to act as a roll over bar. 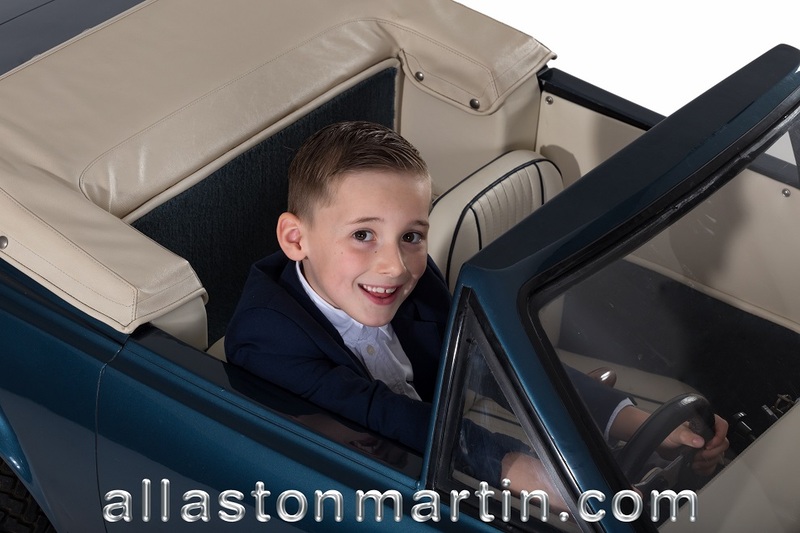 The seats may have been hide covered but they have the strength of their steel frames, a 12-volt battery maintenance free battery supports electrics that include twin 4 inch head lamps, running lights, fog lights, horn and even a radio! 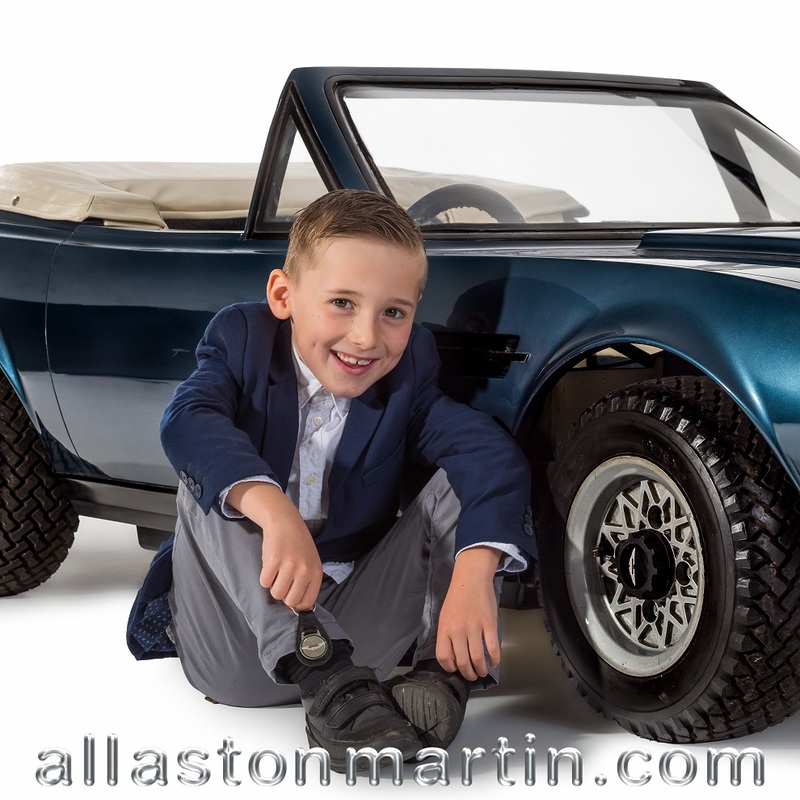 The final touch were a full set of specially made alloy wheels fitted with tyres to suit any hard surface. 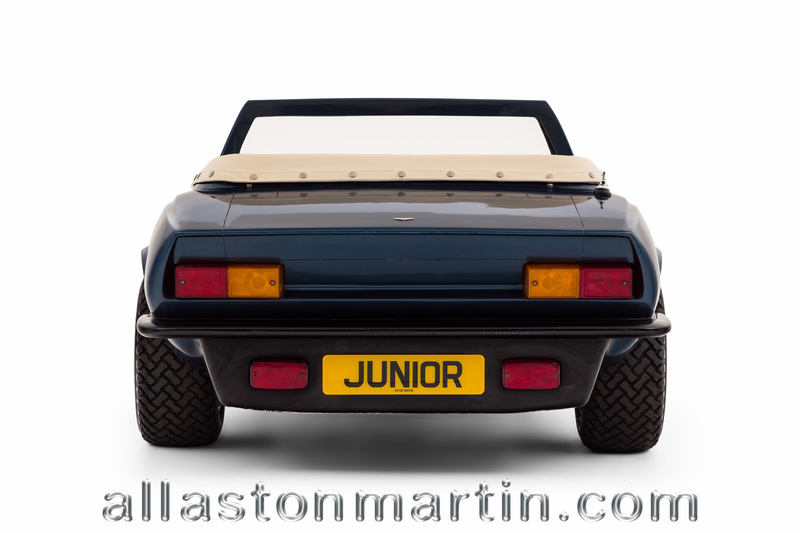 A proper Aston Martin! 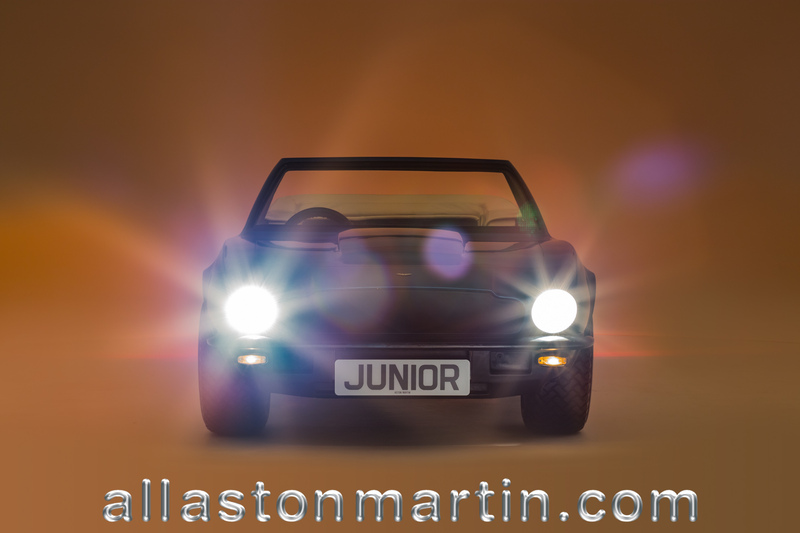 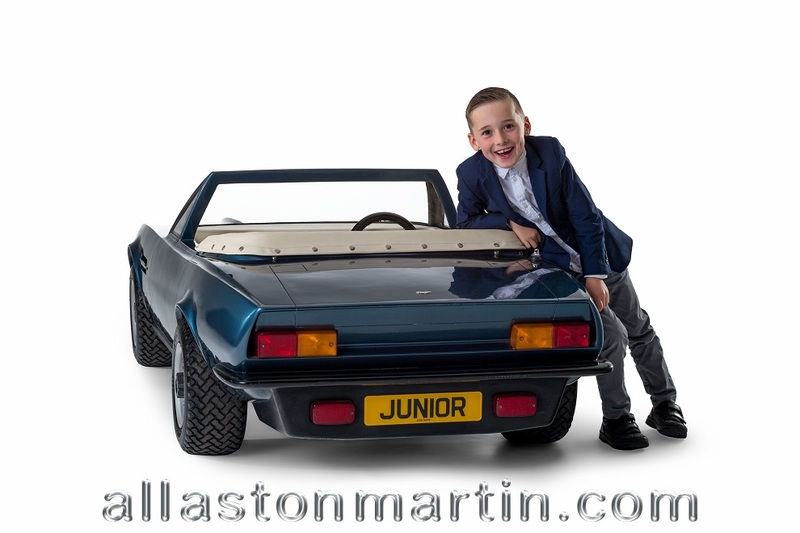 These Juniors rarely come to market and this is a great opportunity to own a piece of true Aston Martin Heritage.